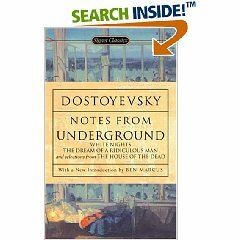 Dostoevsky always writes very interesting stories and this is just another one of them. I had a hard time getting into this one until over halfway through but found it quite interesting and wonderful. A short tale of love and tragedy and sacrifice in a lonely and poor life. An easy read, finished within a matter of hours. 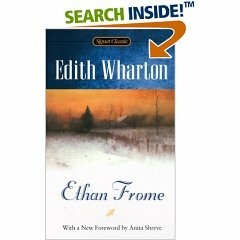 The story of Ethan Frome, a poor farming man who lives with his wife and her sister, who happens to fall in love with. Through the course of events, Mattie (the sister) is sent away and tragedy strikes the family, causing everyone in the town to wonder what really happened on that winter night on the way to the train station. 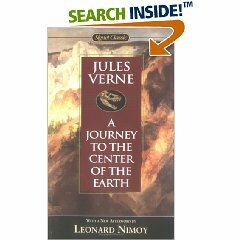 Decoding an ancient message, a boy and his Uncle find the secret to finding the center of the Earth by traveling to Iceland and finding an entrance in one of the mountains, pointed to by a shadow during a specific month. During the journey, they are faced with many obstacles, including rushing waters, ocean, lack of food and starvation, dehydration and in the case of the boy, a few near death experiences. I found it to be an okay story, a little slow for me and hard to follow whether or not they were still in the center or back on the surface of Earth. Another mystery, another city. In this new book, a reporter and a former fire fighter are thrown together by life threatening circumstances. Britt Shelley was a rising star, until she woke up next to the naked and dead body of a former fling. Now she’s accused of murder, and the only person who can save her is Raley Gannon, who experienced the same exact thing, five years prior. Together, the two go on the run to save their lives and try and find out how their situations, three mysterious deaths and a police station fire are all attached. Very entertaining, keeps you on the edge of your seat wondering what is going to happen, not trusting anyone, and thoroughly surprised in they last moments. A great short story by F. Scott Fitzgerald about a baby born at the old age of 70something, only to curiously grow younger instead of older. He experiences everything backwards, his father soon becomes his brother and his wife soon becomes a grandmother and his own child soon becomes his father. It was very entertaining and interesting to read this idea of a child being born as an old man and dying as an infant, unable to remember all the incredible things he has learned in his life. A timeless classic, adapted to film, about an orphaned boy, Pip, reared by my sister and her husband, only to come into a large fortune by an unknown donor. Pip leaves his family behind on a quest to become a true gentleman and learn everything one of money needs to know. He falls in love with Estella only to have his heart broken over and over by the cold hearted woman. Dickens writes dark and lonely well, and nothing is left out in this tale of fortune, forgiveness, and finding out the truth. 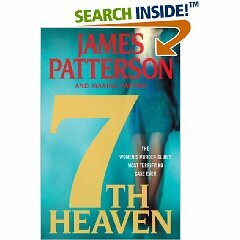 Though the story focuses on Pip and his life before and after money, it takes a turn into telling the story of all characters and how Pip was throw into this life without even realizing the knowledge he held, key secrets to his love’s real life and those around him. The Women’s Murder Club is back and this time one of them is targeted by an over eager and pyschotic author, while Lindsay and Rich try to solve two crimes. Things are getting more interesting and more tense between Lindsay and Joe, while she tries to hold back feelings that may be developing for her partner. I enjoyed this one more than 6th Target, and can’t wait for the next one. Are wedding bells in the future?